It’s that time again… time for a recipe challenge with Sustaining the Powers and Bowl of Happiness! 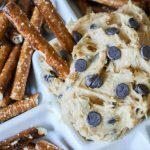 I’ve teamed up with these lovely ladies to host a monthly linkup where we challenge each other to create a recipe using a particular ingredient or type of recipe. 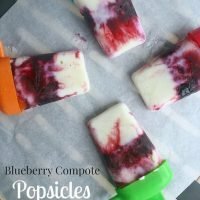 This month’s challenge was to create a popsicle recipe to welcome summer! Popsicles are such a great summer treat. They are easy to eat by the pool and always remind me of my childhood. 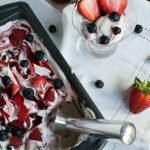 For my recipe, I wanted to create a fruity treat that wasn’t too sugary. While this recipe might not be considered healthy, it’s definitely a better-for-you option! It’s no secret that blueberries are one of my favorite ingredients right now. 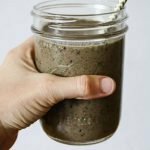 I’ve been creating Blueberry Chia Seed Muffins and Blueberry Super Smoothies. It wasn’t hard to decide what to put in my popsicle recipe! 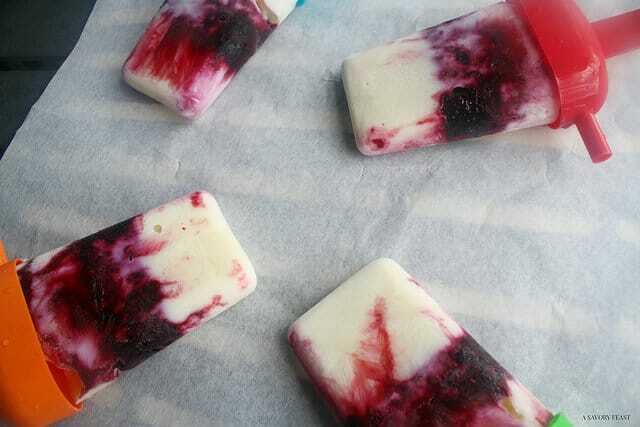 I started with a vanilla greek yogurt base for my popsicles. Then, I cooked up a homemade blueberry compote. Adding them together makes one incredible icy treat! Just look at how pretty these pops are! I love how the compote created pretty designs when combined with the greek yogurt. 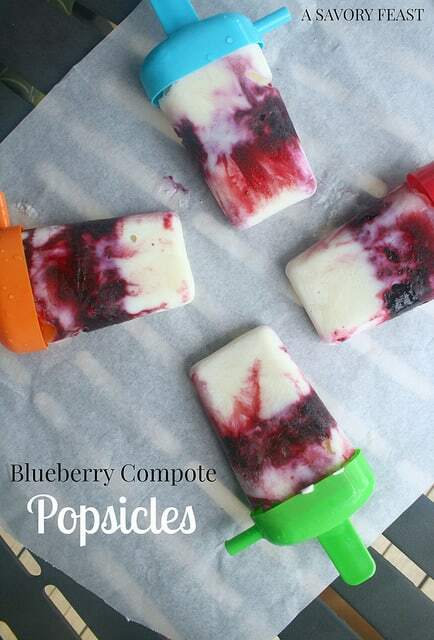 These popsicles are sure to delight adults and kids alike. Combine 3/4 cup of the blueberries, water, sugar and lemon juice in a small saucepan. Cook over a medium heat for about 10 minutes. Add the remaining blueberries and cook for 8 minutes more, stirring frequently. Let cool for at least 15 minutes. While the compote is cooling, place about a 1-inch layer of greek yogurt in the popsicle molds and put in the freezer. Once the compote is cooled (it can be slightly warm), take the popsicle molds out of the freezer and add a layer of compote and another layer of yogurt. Freeze for 1 hour or until completely frozen. 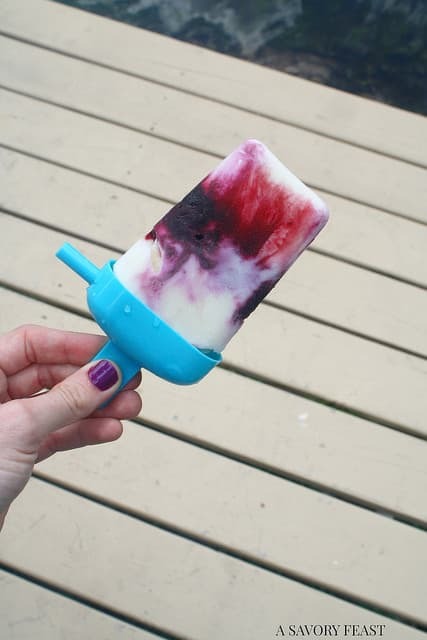 Do you have a popsicle recipe? Link it up below! You can share any recipe you’ve created and posted on your blog, whether it’s an old or new post. 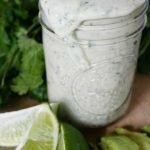 If you want to create a new recipe and join in the fun, the link up will remain open all week. Want to join in the fun next month? The prompt for next month will be Red, White and Blue! You can create any sort of recipe, whether it’s a dessert, drink, appetizer or whatever else you can dream up. Get ready to link up your recipe the third week of June. I think you need to create a blueberry recipe! They are my fave right now. YUM!! This sounds delish. 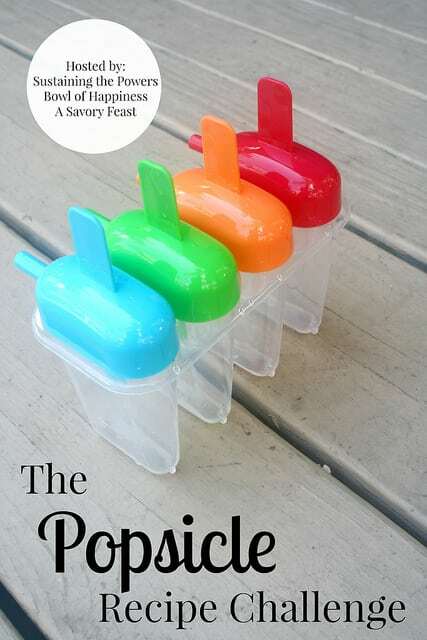 I have tiny popsicle molds I use for my kiddo and I put 1 oz yogurt in them for her – simple but I can’t screw it up! I loved how the frozen yogurt tasted! So easy and so yummy. I need to get some Popsicle molds. This looks so good. I got these at the Dollar Store! They work great. These look AMAZING! I’m currently in a popsicle phase. Do the molds help prevent dripping down your hands? My one year old is into them too but no surprise, it’s a messy treat for a little person! Those molds did help prevent dripping! It catches all the liquid and then there is a straw to drink it at the end. I got them from the dollar store! 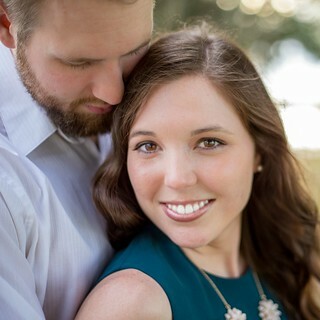 I loved how they turned out! My fiancé thought they were store-bought!